We are looking for UK Bloggers to review a mouthwash called CB12. The powerful and unique combination of zinc acetate and chlorhexidine within CB12 neutralises the formation of the substances that cause unpleasant breath. 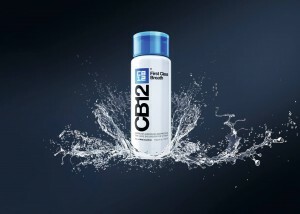 The unique and patented formulation of CB12 binds with the lining of the mouth, teeth and tongue, ensuring up to 12 hours of long-lasting first class breath. Scientific studies using instruments specifically designed to detect the sulphurous gases at the root of unpleasant odours, together with clinical trials have proven that CB12 is safe, effective and long-lasting. We are looking UK bloggers to review our mouthwash on their social media platforms and/or their own blog as well as our own Facebook. We would like to hear from any bloggers, particularly UK health, lifestyle, beauty blogs.